Power may come from groups. Very few of us realize that we're actually great with instruments until we join an orchestra. 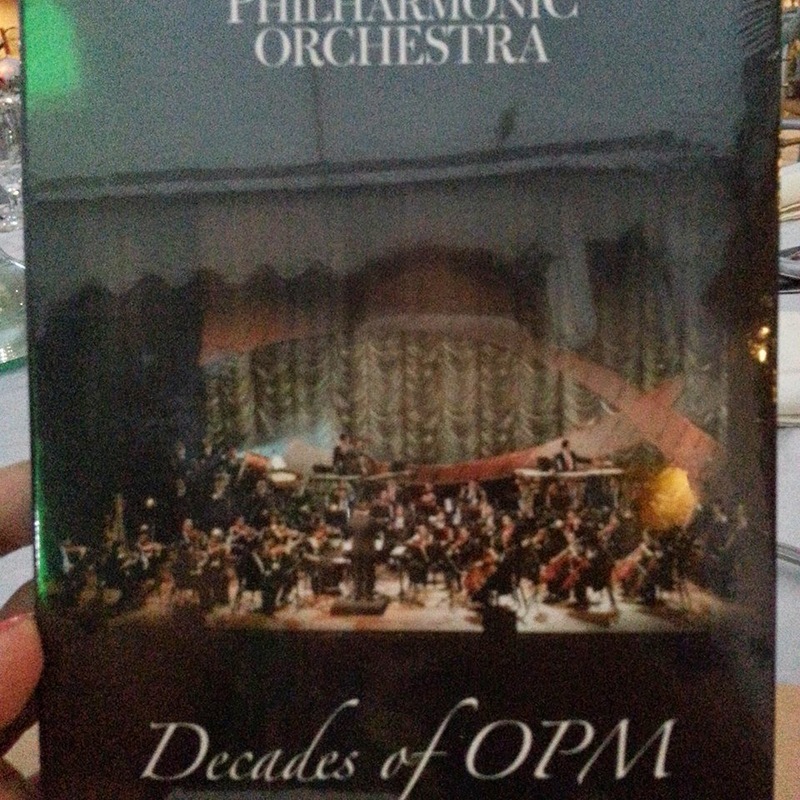 Powerful stories came from the powerful members of the ABS-CBN Philharmonic Orchestra launching their debut album, "Decades Of OPM" under Star Records Philippines. A celebration of Original Pilipino Music from masterpieces of the 70s, 80s, 90s and early 2000s, ABS-CBN Philharmonic Orchestra tries to bring the orchestra music closer to the hearts of the Filipino gathering some of the country's OPM icons, Gary Valenciano, Martin Nievera, Vina Morales, Angeline Quinto, Yeng Constantino and Piolo Pascual. Also included were the phenomenal artists Daniel Padilla, Enrique Gil and Abra to get more of us appreciate the beauty of orchestra. Maestro Gerard Salonga shared to us how the ABS-CBN Philharmonic Orchestra started in 2012 and what brought each of the members together. Concert Master Ralph Tylan also shared his story on how he started playing violin from the choices given by his parents. Maestro Gerard conducted the ABS-CBN Philharmonic Orchestra performing "PBB Theme", "Langis At Tubig", Please Be Careful With My Heart", all tracks included in the album. It was surprising to realize that some of the members who are now exclusive contract stars of ABS-CBN became experts at their instruments out of circumstance and chance. This was the moment the media who covered the event realized how important it is to get more kids these days play instruments. I remembered my cousins who were sent to piano lesson and how I wanted to play the violin but my mom couldn't afford it. 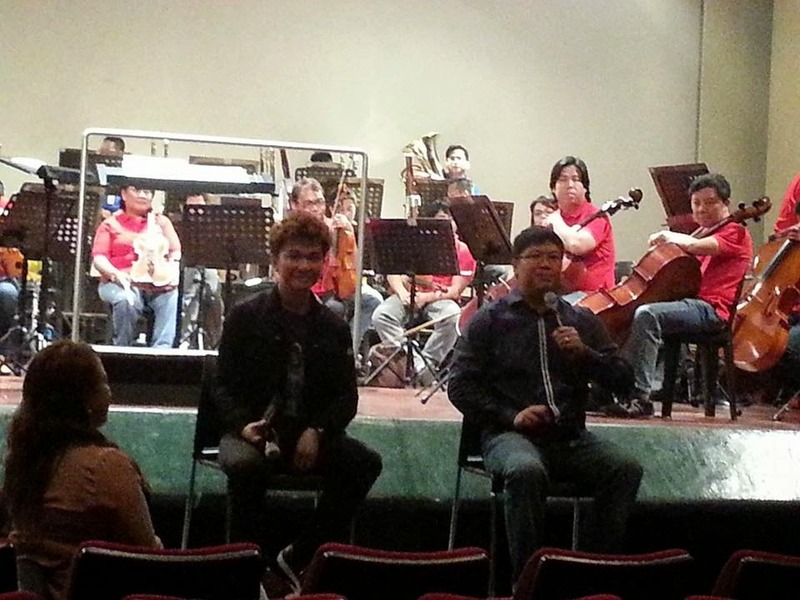 Maestro Gerard Salonga was joined by Star Records Philippines President Jonathan Manalo during the interview. The aim of the orchestra was to educate the youth of today about orchestra and how each member plays significant role in the group. Mrs. Cris Belen, publicist of Lea Salonga was given a chance to be the conductor. It was those moments also when we all awed at the gratitude of Maestro Gerard Salonga to his sister Lea for giving him opportunities to work on his passion in music. According to Gerard, Lea financed his schooling abroad and gave him opportunities which got him his position now as the conductor of ABS-CBN Philharmonic Orchestra. It was such an inspiring and heartwarming press conference launching ABS-CBN Philharmoic Orchestra's debut album, "Decades of OPM". I really hope the next album will be one we can all use to sing-along so we can all brag to friends that we can actually "sing with the orchestra". Congratulations ABS-CBN Philharmonic Orchestra and please do continue to inspire the youth of today how important it is to be skillful in playing those instruments. 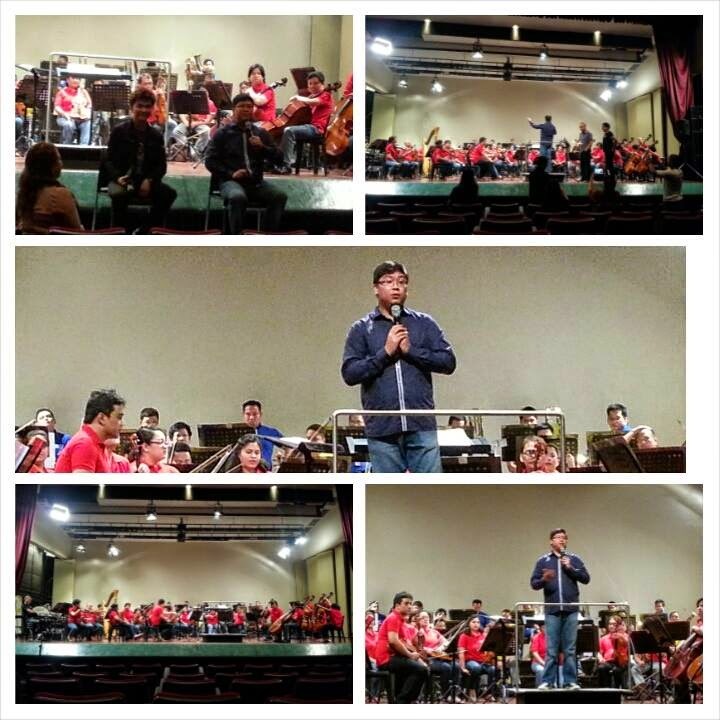 I really love the track "Mula Sa Puso" because it gives me a chance to sing-along with the orchestra. Tracks include: "Kapalaran" with Gary Valenciano, "Hawak Kamay" (Yeng Constantino), "Be My Lady" with the award-winning composer Louie Ocampo, "Himig Handog Suite" (Medley of Hanggang/Kung Ako Na Lang Sana/Anong Nangyari Sa Ating Dalawa/Hindi Na Bale), "Mula Sa Puso"(orchestra only), "Tubig at Langis"(orchestra only), "OPM Dance Suite"(Medley of Awiting Mo Isasayaw Ko/Katawan/Rock Baby Rock/Tayo'y Magsayawan) by Daniel Padilla, "Totoy Bibo" by Enrique Gil and Abra and "Pinoy Ako" official theme song of ABS-CBN's hit reality show Pinoy Big Brother. Also included in the album are bonus tracks, "Please Be Careful With My Heart" (orchestra only), "Maging Sino Ka Man" with Martin, "After All" with Martin and Vina and "Kung Kailangan Mo Ako" with Piolo. It was also exciting watching media friends Nestor Cuartero and Allan Sancon sing-along "Maging Sino Ka Man" with ABS-CBN Philharmonic Orchestra. Thank you ABS-CBN Philharmonic Orchestra for trying to bridge the gap with more teens dependent on the internet and social media sites. "Decades of OPM" album under Star Records is now available at all record bars nationwide for only Php350. It can also be downloaded via www.starmusic.ph, www.amazon.com, www.mymusicstore.com.ph and iTunes. With 42 musicians under the baton of Maestro Gerard Salonga, the ABS-CBN Philharmonic Orchestra is established through the collaborative effort of ABS-CBN and First Philippine Holdings Inc., For more info please visit www.facebook.com/starrecordsphil and follow @starrecordsph on Twitter for more updates.